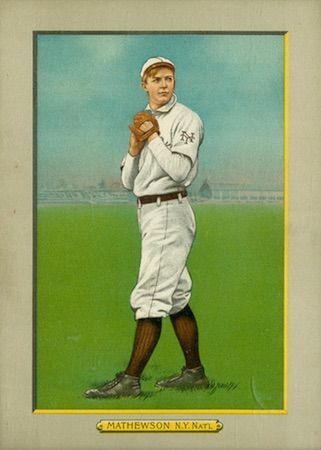 1911 Christy Mathewson T3 Turkey Red Cabinet Card. Ungraded, raw 1911 Mathewson T3 Turkey Red Cabinet Card. Better condition grade with a subtle hint of mild staining in spots. There is a fine line/crease in the lower portion of card. This cabinet card is a metaphor for everything that's right with the avocation of card collecting.